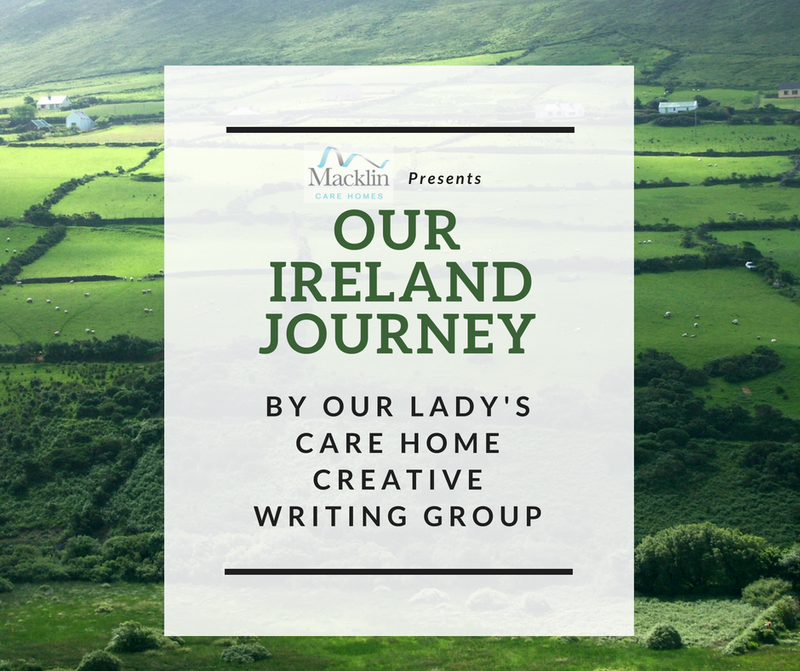 This poem was put together by our residents in the creative writing group at Our Lady's Care Home, we are extremley proud of the groups collective approach and the final outcome. Who knows, we could have the next Seamus Heaney in our Belfast Home! Its Bogside and Waterside joined by a bridge. On to Creeslough and through it in a blink. Next Kathleen’s Killybegs where happy holidays were spent. So we cast a cold eye and then pass by. With Croagh Patrick’s triangle against the sky. With their soft Western air, their empty sands. With its may flowers and its flaggy shore. And cross the banks of Shannon to Kerry’s mountains fair. And in Dingle there’s a famous one who lives in the bay. Where we’ll eat the special pudding before setting out again. Which took so many starving folk to lands away from home. With its tower standing tall for a thousand years. To Dublin now and here we rest, while others rush around us. Take in a play at the Abbey and visit the Book of Kells. Then Carlingford’s ancient castle on the Lough. At Newcastle and hear the waves rush shorewards. It’s Saint Peters and our well loved Falls Road.